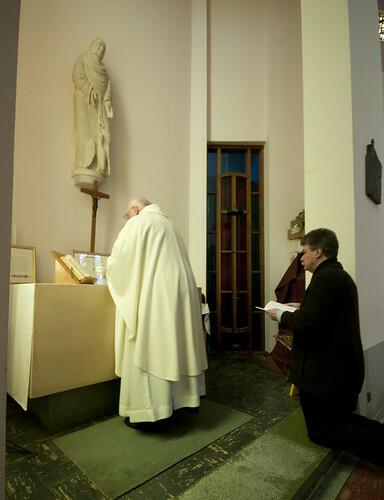 In his great book The Spirit of the Liturgy Cardinal Ratzinger, as was, now Pontiff Emeritus Benedict XVI, had a lot to say about silence in the liturgy, and the problem represented by its almost complete exclusion from the Ordinary Form. 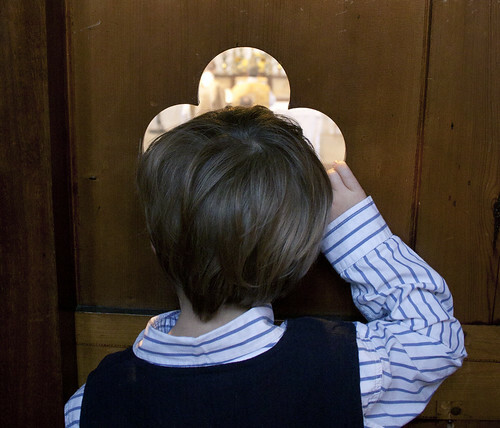 We must remember, first, that silence takes various forms; he is concerned with two: the 'priestly prayers', personal prayers for worthiness said silently by the priest before reading the Gospel, receiving Communion and so on, and the Canon, said silently in the EF but not in the OF. 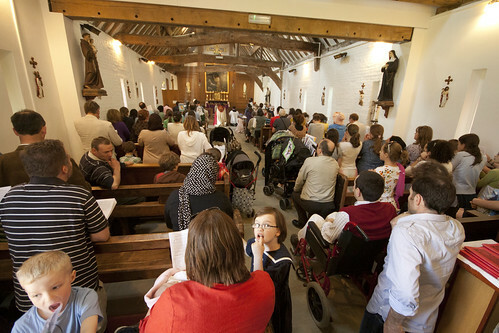 He rejects as an artificial holding-up of the liturgy the 'pauses' inserted into the Ordinary Form by many celebrants (and sometimes called for by the rubrics). No apologies for an extended quotation. Meanwhile, in their efforts to reform the Missal, the German liturgists have explicitly stated that, of all things, the Eucharistic Prayer, the high point of the Mass, is in crisis. Since the reform of the liturgy an attempt has been made to meet the crisis by incessantly inventing new Eucharistic Prayers, and in the process we have sunk more and more into banality. Multiplying words is no help -- that is all too evident. ...they balk, now as in the past, at the possibility that silence too, silence especially, might constitute communion before God. Anyone who has experienced a church united in the silent praying of the Canon will know what a really filled silence is. It is at once a loud and penetrating cry to God and a Spirit-filled act of prayer. 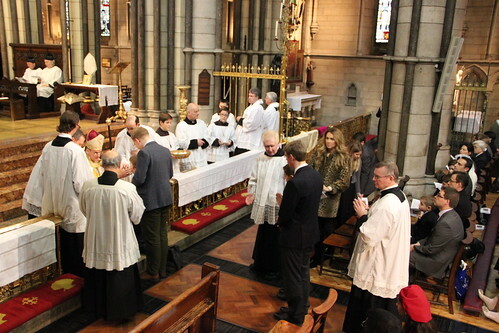 Here everyone does pray the Canon together, albeit in a bond with the special task of the priestly ministry. Here everyone is united, laid hold of by Christ, and led by the Holy Spirit into that common prayer to the Father which is the true sacrifice—the love that reconciles and unites God and the world. So we see the familiar shape of the debate. 1. 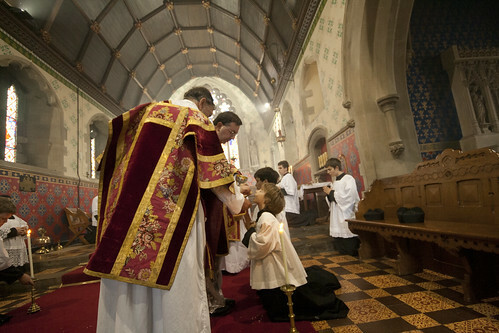 The implications of the traditional liturgy: it points towards both the priest's personal need for holiness, and the importance of silent communion with God. 3. 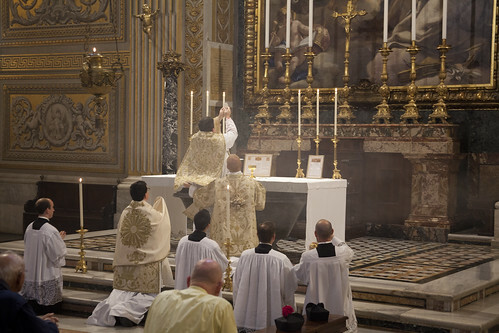 The alleged implications of the reformed liturgy: that Mass is a meeting, that it is about communication not with God but between the priest and the Faithful, or even among the latter. (3) is at right angles to (1) and (3) is wrong. Seen in the light of the whole liturgical tradition (3) is actually crazy, and deeply damaging. But it is insidiously inflential. Another implication, of course, is that since the point of silence in the Vetus Ordo is not understood, it is condemned as obscurantist, clericalist, and so on. On this point we actually have some explicit teaching from the Papal magisterium. Silence was condemned by the Jansenist 'Synod of Pistoia', which was itself condemned by Pope Pius VI. So there you have it. The hermeneutic of continuity is not incompatible with a critique of the New Mass, and it certainly isn't about blinding oneself to the differences between the Old and the New. It is about seeing every authorised rite and magisterial document in the light of the whole body of tradition. This will sharpen our understanding of the radical nature of the reform, which (as Vatican II indicated) is in itself problematic: liturgical reform, the Council said, should not be radical (Sacrosanctum Concilium 23). But at the same time it allows us to dismiss those implications of the new rites which appear to establish a new theology at odds with the theology endorsed by the Church over many centuries. Different rites have different but complimentary theological emphases: the Council makes this point about the Eastern Rites (see Unitatis Redintegratio 17). What is impossible is that having promulgated the new, the Church should condemn the old. Pope Benedict condemned this is in the most forceful terms. He had to, because this is how it is often presented: by seminary liturgy lecturers, by writers like Basil Loftus, and by many others. These people like to point out that they are following the lead of theologians who were involved in the Reform itself, but this has no importance. Those theologians have no magisterial authority. What is promulgated by the Church must be interpreted by the norms proper to the Church: the Tradition. I had intended to write also about Cardinal Ratzinger on kneeling, but with Christmas approaching I think I have said enough on this issue. The general point is applicable to a whole host of other issues. The Vetus Ordo has always been, and remains, a massive element of the Church's liturgical tradition, whose theological exactitude cannot seriously be called into question. What can, and must, be questioned are the alleged implications of the Novus Ordo which are held to sweep away the Church's established teaching. To repeat, it is vital for orthodoxy that the Old Rite becomes once more a serious part of the Church's liturgical life all over the world. 'Lavabo inter innocentes': said inaudibly by the priest. Do you know anyone who would like to ensure they get a traditional funeral when they die? Do you think you may have to help organise such a funeral for anyone? 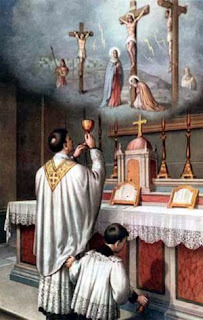 The Latin Mass Society has just put together some excellent resources to help you. The page about it on the website is here. It includes a model 'Letter of Wishes' to guide executors, with a explanation of their legal status and relationship with Wills. 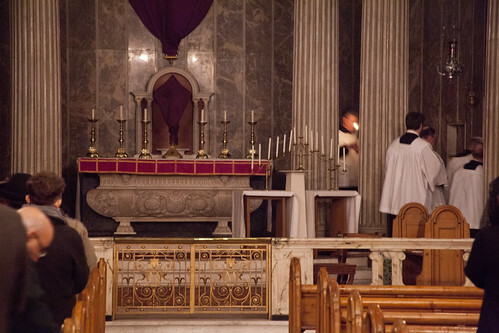 It explains the liturgical options: Low, Sung, and High Mass, Chant and Polyphony, Reception of the Body, Blessing of the Coffin, Prayers at the Graveside. It explains the legal situation under Summorum Pontificum and answers some questions about the spirit of the Traditional Requiem. This booklet is a must-have for priests who have to answer questions about traditional funerals, as well as those planning one, or having to put others' wishes into effect. It is available as a free download; hard copies can be bought at £2 including postage in the UK, £3 outside it. EF High Mass in the Chapel of the Choir, St Peter's. First off, a little disclaimer. I don't normally engage in direct criticism of the Novus Ordo, and I'm not exactly doing this here. I leave carping about the details of the 1970 Missal to those many liturgists across the spectrum of opinion who want to revise it: they are, after all, the experts. My brief is to talk about the value of the Old Mass, which may have no implications for the OF, it may complement the OF, it may suggest something could be improved in the OF, or whatever - insofar as I can leave that open I do. There is no contradiction between the two editions of the Roman Missal. 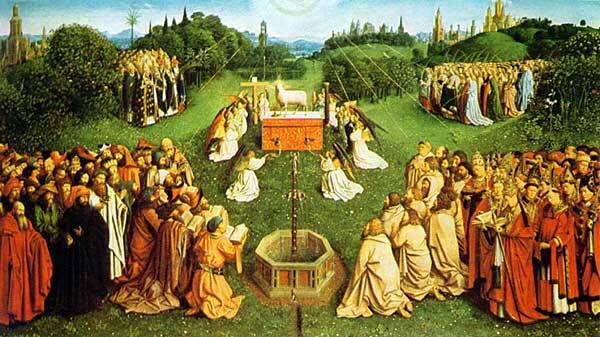 In the history of the liturgy there is growth and progress, but no rupture. What earlier generations held as sacred, remains sacred and great for us too, and it cannot be all of a sudden entirely forbidden or even considered harmful. 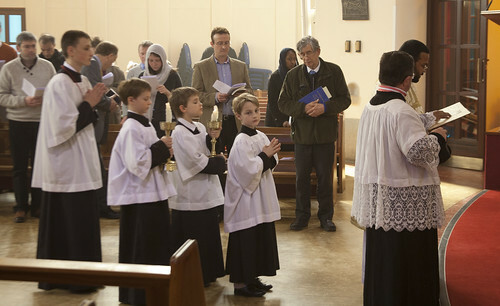 Now, the liturgy speaks to us at many levels, and it is quite natural that it should be pregnant with teaching and that people should pick things up from it. It can also be misunderstood. In the Extraordinary Form, the claim that the priest 'turns his back on the people', interpreting his facing East as ignoring the Faithful or even holding them in contempt, is such a misunderstanding. It happens with the Ordinary Form too. An interesting feature of many of the permissions for liturgical innovations is the plea for catechesis or preparation of the Faithful to head off misunderstandings: preparation which of course never took place. The Holy See was particularly worried about the possibility of misunderstanding Communion in the Hand and Female Altar Servers. So, on the Sacrificial nature of the Mass. It is well known that sacrificial language was heavily pruned back in the liturgical reform. The traditional Offertory Prayers are full of it and they were cut completely. The traditional Collects and particularly the Secret prayers had a lot and this has pretty well all gone. Bugnini makes the point that he wanted to avoid anything which would give offense to Protestants, and indeed many Protestants do happily use texts similar or identical to the Ordinary Form. Bugnini wanted to cut the Roman Canon, but it has survived as an option ('Eucharistic Prayer I'). 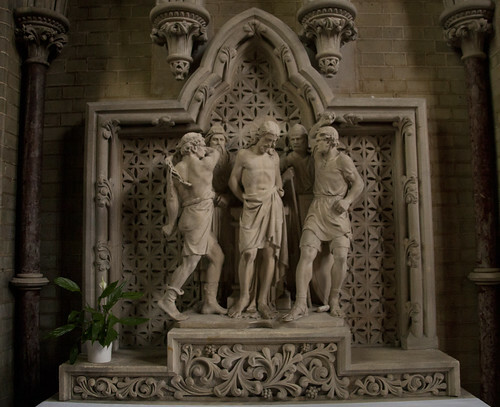 This all happened in the context of an attack on the theology of sacrifice, and we have all been told since 1970 that the Mass is a 'shared meal'; popular treatments frequently skate over the sacrificial nature of the Mass, or ignore it completely. This would be impossible with the text of the EF. This is what Cardinal Ratzinger said. What he is saying is that these theologians, who deny the sacrificial nature of the Mass, want to extirpate the 1962 Missal because they see clearly that it contradicts what they want to say. The Ordinary Form does not, or at least not in an 'intolerable' way. 1. He is not denying a rupture between the two Missals, both in the sense that the texts are very different, and that this difference is of great theological importance. 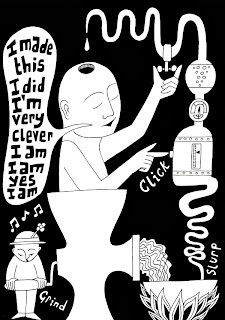 What seems to be implied by one is contradicted by what seems to be implied by the other. 2. He affirms that what is (without any misunderstanding, and agreed by all) the implications of the Old Mass is correct: it is the teaching of the Church. 3. Going beyond this passage, it is clear that, whatever Bugnini or any other individual intended to do in creating the Novus Ordo Missae, none of them - not even Pope Paul VI - had the authority to alter the teaching of the Church on the sacrificial nature of the Mass. It is part of the Deposit of Faith. Therefore, it didn't happen. 4. As a matter of fact, the changes made to the liturgical texts are (in this respect) ones of subtraction: references to sacrifice are systematically expunged. The texts of the OF do not explicitly deny the theology of sacrifice: indeed, Eucharistic Prayer I affirms it, however rarely it is actually used. 5. Given all this, we may say that the attempt to infer a non-sacrificial theology of the Mass from the Novus Ordo is a misunderstanding. It may be a reasonable one, or not: that's another question. Any liturgical or magisterial text must be read against the background of the whole Tradition: this is the Hermeneutic of Continuity. We should take account of the whole teaching of the Church in coming to understand any particular document. That includes using later documents to interpret earlier ones, since the Church can grow in understanding the implications of the Deposit of Faith. The Fathers help us understand Scripture, and so on. So is there a rupture, or not? Is there a problem with the Novus Ordo, or not? Yes and no. There is a clear rupture in the silencing of a lot of sacrificial talk in the Mass. But there is no rupture in the Church's teaching, because there cannot be. So what we might think is implied by the NO (particularly by its silence or ambiguity) should be set aside, if it conflicts with the Magisterium or the earlier liturgical tradition. 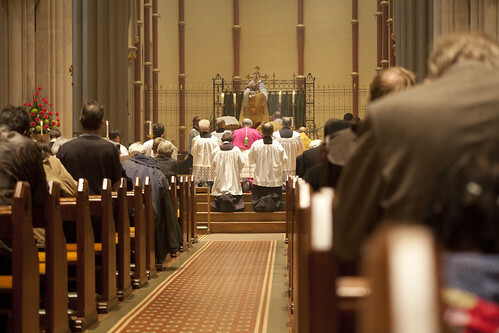 What is implied by the Traditional Mass, on the other hand, is still valid. To spell it out: the Hermeneutic of Continuity does not mean that we pretend the texts are the same. It means that we read both sets of texts in light of the whole Teaching of the Church. We may think that doing this is a 'forced' reading in some cases, or that it goes against what the people actually composing it wanted to say. But those people and their intentions are not normative for what the Church means by these texts. The liturgical rupture does not create a theological rupture because the Church's teaching cannot change. The past, the Tradition, cannot be rendered invalid. 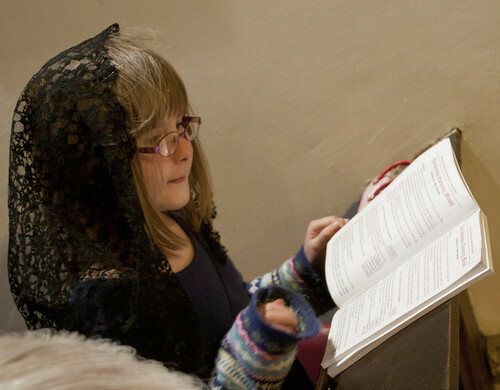 We have uncovered here an enormously important reason why the Extraordinary Form must urgently become a part of the liturgical life of the Church again. It conveys a theological teaching which not only true but very much in need of reassertion. Mass is at 7.30: open to all. Social afterwards for the young. 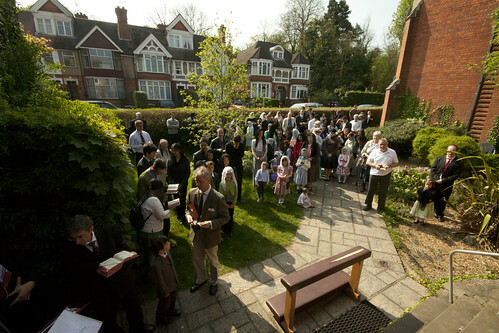 I particularly envy this (I can't make it) since I love the liturgy of Ember Week. 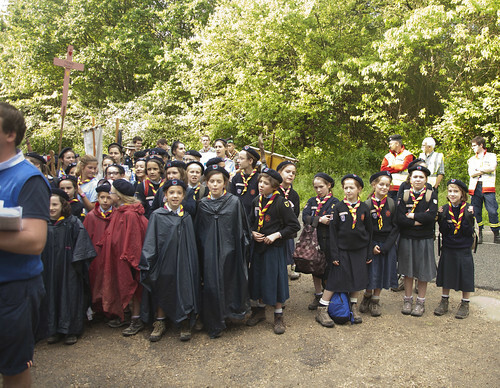 On Wednesday and Saturday there are an extra readings for example, and the chants are ancient and very beautiful. 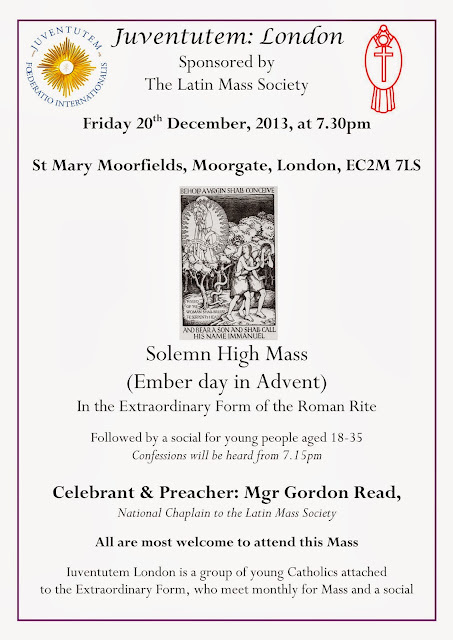 It is the best way, liturgically, to prepare for Christmas. My post about the Novus Ordo being 'traditional' has turned into a series of posts, and I intend to extend this in response to comments and criticisms. Allow me to take stock a little. I have addressed the claim that the Novus Ordo in in 'accordance with the Roman liturgical tradition'. In a sense it is: it is a legally promulgated, sacramentally valid Mass. (Members of the Franciscan Friars of the Immaculate need have no qualms about swearing this.) In a sense it isn't: it didn't grow organically out of the previous edition of the Roman Missal. What I am most concerned about is that the second claim is legitimate: arguing for this doesn't make you a heretic, or, for those who prefer other terms, someone unfit to be a member of a religious order, or an unperson. After all, Pope Benedict implied precisely this in Summorum Pontificum. In the next few posts I am going to look at what Cardinal Ratzinger said about four differences between the OF and the EF. In each case these are connected with a theological issue: the new form seems to have theological implications at right angles to what the EF is saying. Cardinal Ratzinger's point, which I wish to make my own, is: first, these new theological implications (incompatible with the implications of the EF) are wrong; secondly, and partly for that reason, we can see that it is not being put forward by the Church's magisterium. Mountains of theology have been produced about these implications, and they may have been in the minds of the creators of the liturgy. But if they were not in the mind of the Church, if they were not part of the Church's perennial teaching, they should not be seen as asserted magisterially by the Novus Ordo, which was promulgated, remember, not by the officials who wrote it up, but by Holy Mother Church. It is this which Cardinal Ratzinger meant by the 'hermeneutic of continuity', but I need to explain that some more. 1. The language of sacrifice being taken out of the reformed liturgy. 2. 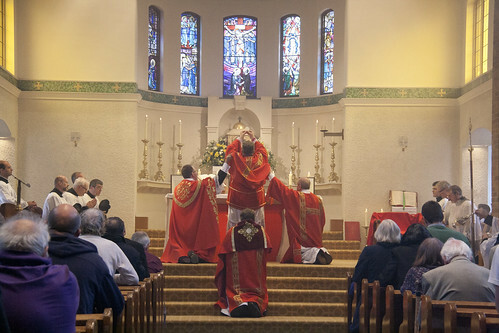 The move from ad orientem to versus populum celebration. 3. The removal of silent prayers in the reformed liturgy. 4. The reduction of kneeling in the reformed liturgy. Following on from my last post, here's another suggestion: insofar as there is a contrast between the two forms of the Mass, do all sound people need to stick with the the ecclesiology, sacramental theology, etc. etc. of the Novus Ordo? The claim that they do doesn't work, and here's why. It is possible to have different legitimate theological schools of thought within the Church: Augustinians and Thomists and what have you. There are also, of course, illegitimate schools of thought, or schools with illegitimate aspects. One possibility, at first glance, is that the contrast between the theological emphases of the two forms of the Mass amounts to the kind of difference which implies that only one can be orthodox: they can't both be right. The point is that the supporter of the Novus Ordo has better hope this is not the case. There are two reasons why. First, the theological emphases of the Traditional Mass are simply those of the Ordinary Magisterium of the Church since, let us say, at least the 12th century. On specific issues we can take it much further back, but the 12th century will do just fine. 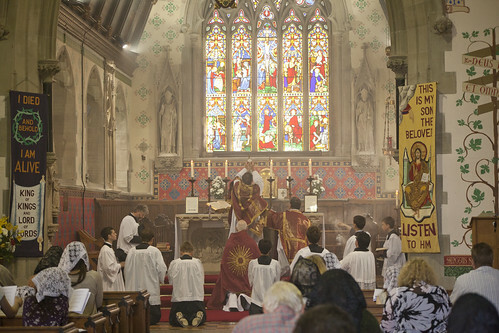 Everyone in the debate about the liturgy recognises that the way things are in the EF is the result of theological attitudes and ideas of the 12th century and before, in all important respects. Since that date, these have become fixed in the liturgy of Rome which spread throughout the whole of Europe and much of the world. The Church's endorsement of these liturgical forms is an extended act (or series of acts) of the Ordinary Magisterium. Is it conceivable that the Ordinary Magisterium should be seriously mistaken on an interconnected set of issues fundamental to the Christian life over the course of 8 centuries? Of course not. If you disagree, you are simply rejecting the concept of the Ordinary Magisterium. What this means is that there is not and and there cannot be a real theological problem with anything in the EF. The second reason is to do with the Second Vatican Council. Opponents of the EF always take their start from the Council. But the Council did not know the Novus Ordo, the Novus Ordo didn't exist at the time of the Council. The 'Mass of the Council', as Pope Benedict called it, was the EF, the Missal of 1962, and a bit the revisions of 1964. What the Council said about the liturgy has to be seen in this light. It is simply historically impossible to see the Council as supporting the theology of the OF over the theology of the EF. Yes, there are specific reforms which the Council suggests. But it never does so because of any theological problems with the old books. It is explicit and repeated in its insistence that pastoral considerations are the only ones at issue, and that after all was what the Council was all about. 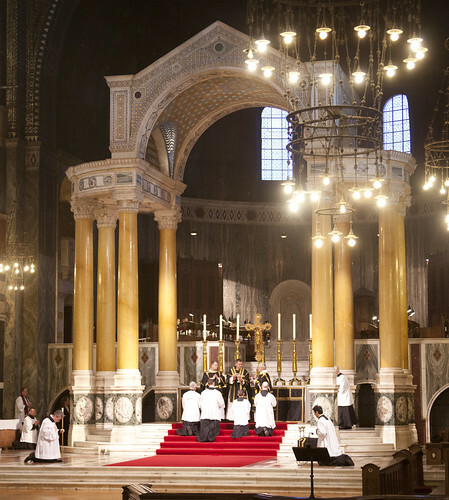 All the beautiful things the Council said about the liturgy, as being for example the 'source' and 'summit' of the 'Christian life', were said in the context of the Traditional Mass. On the other hand, the actual reform which followed the Council did not have the Council's approval. It couldn't, the Council was over. It may, or may not, have followed the lines laid out by the Council. But - to spell this out - while the Council endorsed the theological exactitude of the 1962 Missal, we can only speculate what the Council would have made of the 1970 Missal. From the point of view of magisterial authority, such speculations are neither here nor there: they have no weight. Insofar as the Council's proposed reforms of the Mass constitute a comment on the 1962 Missal, to repeat, this is about the pastoral efficacy of the Mass, not about its doctrinal implications. What is more, the efficacy of pastoral strategies is a matter of prudence and susceptible, at least to a degree, of empirical assessment. In light of the experiments carried out since 1964 and their results, we are only bound to the Council's suggestions insofar as we think they are pastorally fruitful. For these reasons, the supporter of the Novus Ordo, if he has any sense, must say that there is no theological dissonance between the two Missals. If there is a dissonance, the Novus Ordo is in trouble: unlike the EF it is neither endorsed by the Ordinary Magisterium over 8 centuries, nor by the Extraordinary Magisterium of a General Council. It is endorsed by the Ordinary Magisterium of a few decades - a bit like the Breviary of Quignonez. The one which was promulgated in 1536 and abolished in 1568. Yup, liturgical reforms carried out by the highest authority of the Church are not guaranteed to be successful. 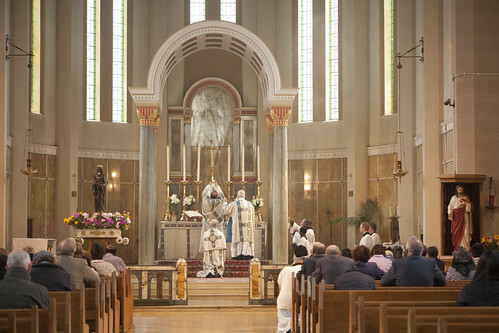 Supporters of the Novus Ordo should stop trying to claim that people who like the Traditional Mass are heretics: that really isn't the language of the Church of Today, is it? They should be working to make it a pastoral success. And there is really no reason why they should be jealous of the pastoral successes of the Vetus Ordo, when they happen. We are all working for the same Kingdom, aren't we? I am reminded of a passage in that forgotten document, the Ratio fundamentatlis about Seminary education produced by the Congregation for Catholic Education in 1980. 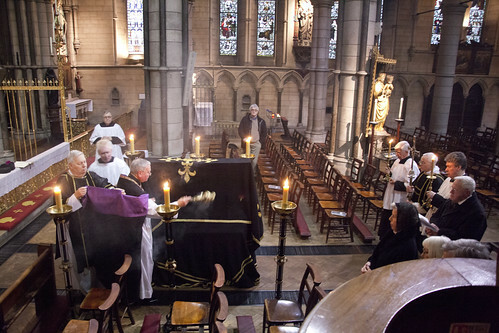 The extinguishing of the candles at Tenebrae, St Mary Moorfields. 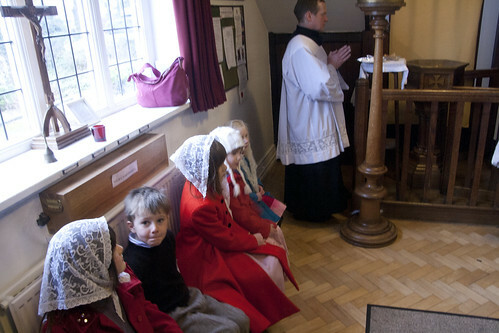 Fr Michael Brown saying the EF Mass at a side Altar in St Peter's. 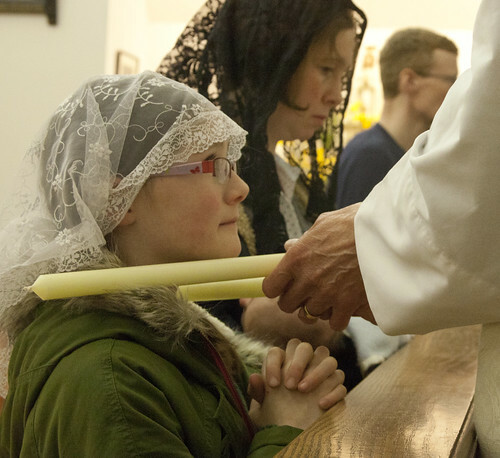 Should we be suspicious of those who say or attend the Traditional Mass? Are they skating on thin ice, in danger of picking up dodgy theological ideas, in danger of getting involved with groups with schismatic attitudes, which reject the Second Vatican Council? Such suspicion has long been the lot of priests and laity who get involved with the Extraordinary Form. 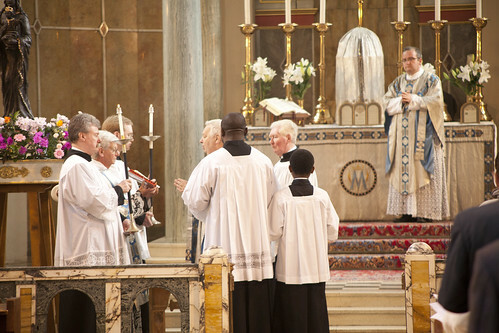 It has become harder to maintain in recent years for three reasons: first, the shortage of priests has forced bishops and superiors to make use of the talents of priests who like the Tradition; second, a new generation of theologians and liturgical scholars are breaking down the negative assumptions about the Vetus Ordo; thirdly, Summorum Pontificum gave these priests and laity rights which are difficult to deny. There are now just too many priests who say the EF to keep this suspicion up. 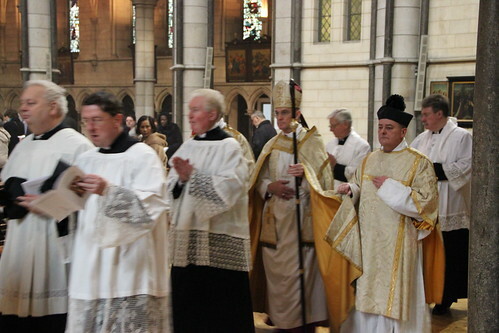 In England and Wales there are seven bishops who have said the Traditional Mass, three of these, plus three other bishops, have conferred the sacrament of Confirmation according to the 1962 books; two bishops who haven't said the EF have presided at it. Such priests can be found working for the Bishops' Conference in positions of trust; there are seven University Chaplains who say the EF, and there are also chaplains of some of our leading Catholic schools. The suspicion of those who like the Vetus Ordo is connected, of course, with the existence of groups with genuinely extreme views, which use the same Form of the Roman Rite, which lack canonical status. Never mind the SSPX: there are cranks out there who think the SSPX is dangerously liberal. What I have never been able to understand, however, is why this lunatic fringe can be used to tar the mainstream Trads while the liberal lunatic fringe, which is far more densely populated and dangerous, doesn't being suspicion down on what we might call mainstream liberals. 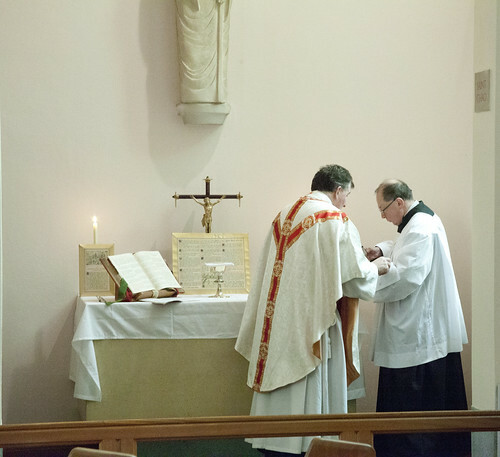 Why seminarians used to ask to receive their copies of Mass of Ages in a plain brown envelope, but could flaunt copies of The Tablet as much as they liked. 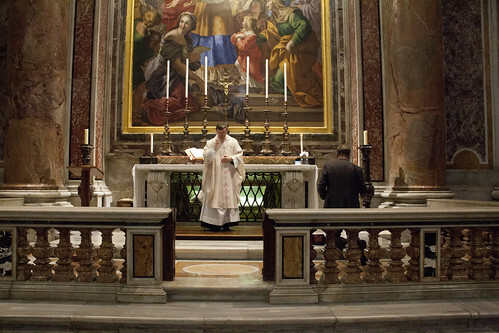 There is zero common cause between the Latin Mass Society and the Sede Vacantists. The same can't be said about The Tablet and the excommunicants and schismatics who take part in mock ordinations of women. Part of the explanation is the way that the texts of the Second Vatican Council have been used and interpreted. As has been said frequently in recent months, however, the liberals have more sore points with these texts than the trads do. As a service to readers I reproduce a list of texts which you can try out on your local liberal, which I included in one of my Chairman's Message columns in the Mass of Ages. Ask him, or her, if he is happy to accept this teaching. For best results don't tell them it was in Vatican II until after they've choked on their tea. Bishop John Arnold saying the EF in Westminster Cathedral. Is the Novus Ordo an authentic expression of the Tradition? 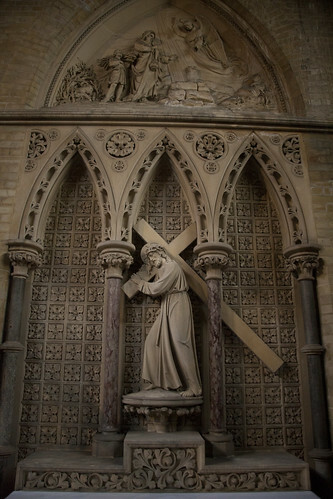 Without knowing every detail of the internal life the Franciscans of the Immaculate, it is impossible to make a complete judgement about the justice of the canonical sanctions being imposed upon them. I confess, however, that the effort to imagine a scenario which would justify what is happening has defeated me, given the publicly-known facts about their work up to the time of the current crisis. Furthermore, some aspects of what is happening seem simply incomprehensible. There is a particular problem with this phrase 'authentic expression of the liturgical tradition of the Church' which goes beyond the circumstances of the FFIs, and which we can discuss objectively. In short: what does it mean? As Fr Tim Finigan has pointed out, it seems to be ambiguous, between something weak and practically incontrovertible - that the Novus Ordo was properly promulgated and is sacramentally valid - and something denied by liturgical scholars on both sides of the debate, including Pope Benedict XVI writing as a private theologian, that the Novus Ordo is a true organic development of the preceding tradition. The different interpretations are possible by varying one's understanding of the two keys words, 'authentic' and 'tradition', which are both terms with a wide range of possible meanings. If we understand 'authentic' in a narrow, legal sense, and 'tradition' in a broad sense, you get the first interpretation: the NO is legally related to the Church's tradition of having a liturgy, say. 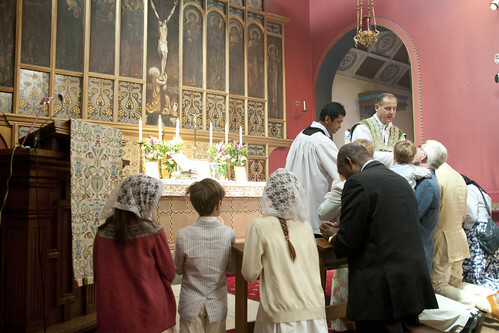 The Church has a tradition of having a liturgy, and by legal fiat the NO became an example of this tradition. Even more clearly, the scholar Klaus Gamber said that the Novus Ordo can't be regarded as the Roman Rite. He was well aware that it called itself the Roman Rite - as opposed to the Ambrosian or Byzantine Rite. He wasn't talking of its legal status, as being a rite which could be said by priests of the Roman Rite: and this is at issue when Summorum Pontificum says that the NO and the Traditional Mass are both 'forms' of the Roman Rite. 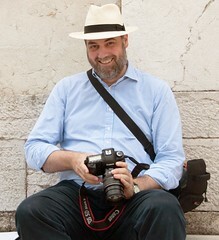 He was making a different point: that as scholars have to judge whether, in form and in historical development, the Ambrosian, Gallican, and Sarum Mass should be called forms of the Roman Rite or separate Rites, we have to judge whether the NO is sufficiently similar to the classical form of the Roman Rite, and connected by organic development to that form, to be considered the same Rite. And it isn't: it obviously isn't. It lacks features which are so centrally characteristic of the Roman Rite that anything lacking them has to be categorised as something else. To deny this would be like saying that a vertebrate doesn't have to have a spine. The book of essays in which Gamber said this has a Prface by Cardinal Ratzinger, incidentally. It is not heresy. It doesn't even, on its own, imply a decisive criticism of the NO: maybe the reformers were right to make the changes, and came up with something better. Many, many liberal liturgical scholars have said exactly this, while insisting that there was a decisive break in the (narrowly understood) liturgical tradition. Furthermore, Summorum Pontificum actually implies the same thing. The Traditional Mass is called the 'former [earlier, older] liturgical tradition': ' 'traditio liturgica antecedens' (from Article 5). 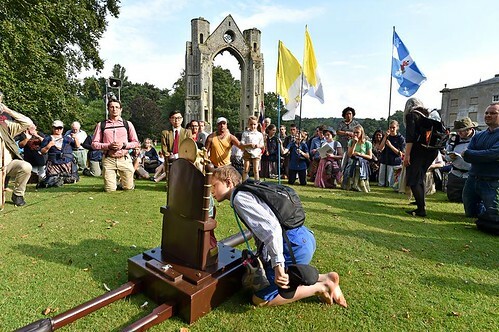 This tradition is not 'expressed' by the Novus Ordo; if it were, people attached to it would be attached to the Novus Ordo, which is not the sense of the passage. 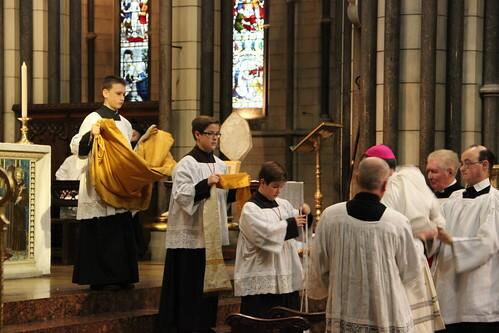 On the contrary, it seems this is a different liturgical tradition: there are two, in fact, an older and a newer one. The fact that there is some important difference between the older tradition and the Novus Ordo is implied in an even more important way by the claim in Summorum Pontificum that the 1962 Missal has never been abrogated ('numquam abrogatam', Article 1). Normally, each edition of the Roman Missal is replaced by the next; that this happened to the 1962 Missal was a very common argument made by canonists before 2007, and this was the reason it was supposed that celebrations of it required an indult or special permission. Summorum Pontificum says that this did not happen. The explanation is not made explicit in the document, but is clear enough. The 1970 Missal is not simply a new edition of the Missale Romanum like all the earlier (and, indeed, later) ones. Something different happened: it was a new Missal in the sense of being a new start, a new tradition, and therefore it did not replace and exclude ('derogate') the earlier Missal. Again, this doesn't imply that the NO is worse than the Traditional Mass. It just recognises the facts. What does this mean? What does it exclude? Isn't every theological discussion about the liturgy rendered impossible by this demand? 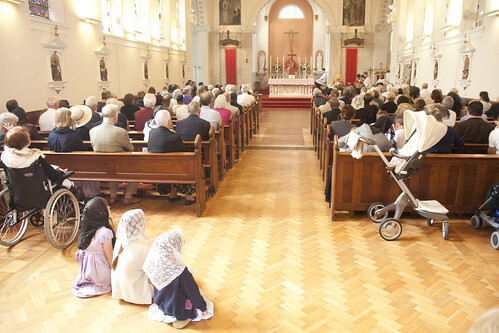 How lucky, then, that it is applied only to people who go to the Traditional Mass! Everyone else can continue to debate the 'legitimacy and doctrinal exactitude' of the 1970 Missal. Or - on the other hand - perhaps this is an almost tautological demand referring to the legal promulgation of the 1970 Missal, and the compatibility with the perennial teaching of the Church of its texts. After all, wouldn't it be odd to question the 'theological exactitude' of the 1962 Missal? And that doesn't imply that it couldn't be improved. The reality is that the 1984 formulation served the purposes of people who wanted to have it both ways. It could be used, in its strong interpretation, as a handy excuse to stop priests saying the Mass and the Faithful attending it, safe in the knowledge that appeals to Rome would almost certainly get nowhere. When challenged publicly, the bishop or superior could say airily that no reasonable person could object to the weak interpretation, and that this was all he had in mind. This, I fear, may be what is happening to the Franciscans of the Immaculate. They need our prayers.